Hello there! For quite some time, this blog has been essentially inactive, and although this particular site played only a small role in the overall Changing Lives Through Literature program, it would be a true shame to let Changing Lives, Changing Minds disappear into the recesses of the abandoned Internet. Therefore, in the following weeks, this blog will be experiencing a revival. Because Changing Lives, Changing Minds has been on hold for so long, bringing this blog back to life will be a tricky challenge, and the task has fallen unto me, the new blog editor, to see this goal turn into a success. My name is Rachel Wicks and over this past summer I was selected to be the new editor of Changing Lives, Changing Minds. I am currently a graduate student at UMass Dartmouth, enrolled in the Professional Writing Program, where I am hoping to cultivate the skills necessary to one day be employed as an editor in a publishing company. I have a lot of experience with writing and editing, not only due to my time at UMass Dartmouth but also because of the different jobs I am balancing. Besides being an editing intern for Changing Lives Through Literature, I am also a tutor, the managing editor of my school’s newspaper, and I also have a second internship at a publishing company in New Bedford, called Spinner Publications. However, in spite of my previous obligations, I fully intend to revitalize Changing Lives, Changing Minds and keep this blog updated with interesting articles that relate not only to how literature can affect someone’s life but also to how the CLTL program itself is helping other people. 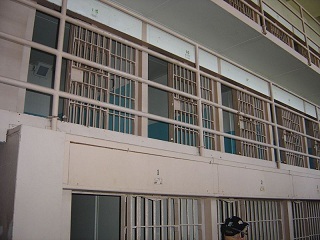 In the past, this blog has done well to cover the literary side of the program but has done little to incorporate themes regarding criminal justice. My goal is to fix this deficiency and provide a wide array of articles that handle both of these topics, all the while editing the navigation, look, and feel of how this blog is designed. At the moment, my goal is to publish a new article every other Friday, but with dedication and a stroke of luck, I hope to have weekly updates from a variety of contributing writers from across the nation. In the mean time, keep your eye out for some exciting changes, and I’ll see you in two weeks! For information on how to contribute to this blog, please contact me either through my UMass email or through my Twitter. Hope to hear from you! Young addicts who enter a rehabilitation center to overcome a powerful addiction to substances and/or alcohol are usually introduced to a 12-step program, the kind employed by Alcoholics Anonymous and Narcotics Anonymous. Author Anne Fletcher, a specialist in addiction and rehabilitation, however, notes that while these programs have doubtlessly been successful for many, studies show that just 25 to 35 percent of those who attend one AA meeting go on to become active participants. Others may find that the 12-step approach is not for them, yet they are not often told of the many alternative treatment approaches that exist. These approaches include Women for Sobriety (WFS), founded by Jean Kirkpatrick and focusing on healing the emotional causes that may lead to addiction; or SMART Recovery, which uses cognitive-behavioral therapy to recognize triggers for drug/alcohol use, and encourages those recovering to identify and utilize with new ways to respond to these triggers. Yet another interesting approach involves the use of writing therapy as an adjunct in the treatment of addiction. Writing has been found to help recovering addicts recall and recover from possibly traumatic experiences and to discover different parts of their identity through the creation of fictional characters. Writing can also help those recovering discover a new talent, thereby increasing their sense of self-confidence and give them hope about the future. The ability to express one’s feelings in an immediate manner. A sense of greater control over how much the writer reveals, at what pace, etc. Recovering addicts sometimes complain about feeling ‘pushed’ into revealing more than they are ready to reveal. Less shame: Writing can make one feel anonymous, thereby making it easier to express emotions and recall experiences without the fear of being judged or criticized. Active participation: Writers can feel more confident because through their writing, they are taking an active role in their recovery. Permanence: Writers can look back and note the progress they have made as time passes. They can also identify past situations and experiences that may have led them to relapse. Benefits for therapists: Having a document to consult prior to a therapy session (written by a recovering client) can aid therapists when preparing for sessions. Less anxiety: In an excellent study entitled Emotional and physical health benefits of expressive writing, one clinical psychiatrist notes “I have found expressive writing to be a useful addition to my repertoire of short-term psychological interventions for people who harm themselves… and for out-patients with stress-related symptoms, anxiety and depression. I use it together with daily mood charts, problem-solving, goal-setting, relaxation, mindfulness, exercise prescription and other interventions…”. In a study published in the journal, Psychotherapy and Psychosomatics, writing therapy was found to be as efficient as cognitive behavior therapy in lowering levels of ‘intrusive symptoms, depression and state anxiety’ in persons suffering from acute stress disorder and posttraumatic stress disorder. Since recovering addicts are forced to face extremely stressful situations as they battle temptation and worry about their future and the effects of their actions on family/friends, writing can form part of an integrated approach to addiction that also values mindfulness-based approaches. Yoga is another popular complementary therapy for the treatment of drug abuse; with its focus on controlled breathing and ‘staying in the moment’, it has been found to lower levels of stress hormone, cortisol; yoga has also been found to battle fatigue. A nutritional regime comprising whole, seasonal foods is likewise a crucial pillar of embracing a healthy lifestyle that promotes both physical and mental well-being. In this sense, writing is just one of many complementary therapies that can address the same problem from various standpoints. Writing has been found to increase the amount of exercise performed in therapy groups: Often, those recovering from addiction are in a poor physical state; the pursuit of an active lifestyle is thus vital if lost strength, flexibility and fitness are to be restored. In addition to encouraging more physical activity, expressive writing has been linked to a host of positive outcomes, including higher grades for college graduates, higher rates of re-employment following a period of unemployment, fewer visits to general practitioners and health centers, and the consumption of a better diet. Eve Whittaker is a full-time feature writer, as well as an art and photography aficionado. She has written for numerous sites on various topics over the past few years. Is Blogging A Threat to Quality Writing? Literary expression takes many forms; from short stories to expanded documentation covering myriad subjects. Throughout history, authors have set themselves apart offering written works as diverse as romantic novels and epic tales of adventure, spanning several volumes. Within each genre, sub-specialists write in styles running the gamut from concise academic form, to sprawling embellishments of everyday encounters. Thanks to technology and the proliferation of the World Wide Web, there is a relatively new player on the field, begging the question: Are bloggers a threat to literary integrity? Before people had pencils and pens, drawings and symbols left on cave walls were effective communication. So who took responsibility for preserving thoughts in this way? The cave people skilled at drawing most likely bore much of the burden, but lesser illustrators surely weighed in too. As communication became more important to society, formalizing language and alphabets, more and more people took up writing as a form of expression. Early writers were not necessarily highly-skilled. But they wrote anyway, because they could. So the slippery slope of unskilled writers sharing ideas, whether or not they have the slightest clue how to do it properly, is nothing new. It could even be argued that the same motivation existed for cave drawers as for some of today’s bloggers. Fame and recognition, the desire to be heard and remembered, are motivators for taking pens to paper, charcoal to cave walls, and most recently, fingertips to keyboards. What has changed over time is the relative importance of fame, heightened in an information age placing great emphasis on celebrity and adulation. The evolution of the World Wide Web continues to change the landscape for fame-seekers. An instant audience, perhaps millions, is a powerful draw for those committed to being noticed. As a result, many bloggers put the cart before the horse; adding to the blogosphere, before they really have something to say. Blogging’s greatest threat to quality writing is found among ‘vanity’ blogs, serving only their authors; rather than informative, relevant content shared by capable writers blogging online. In addition to personal rewards for bloggers, the practice of sharing online carries cash benefits, once bloggers establish followings. Unfortunately, poorly written blogs yield returns for bloggers able to draw traffic, in spite of themselves. When poor content is rewarded with cash, it might appear as though it undermines quality writing, but it may be too soon to judge. Blogging is an evolving pursuit, subject to corrections as it matures into a long-term phenomenon. And just as competition influences other economic trends, bloggers face free market influences, which may eventually serve to elevate good writing and take incentives away from bloggers spewing drivel. Purely promotional blog content, disguised as education, is increasingly being called-out for what it is, filtering-out blogs without intrinsic value. Spam gives blogs a bad name, but it also makes legitimate content shine amid the noise. In other words, bloggers with something meaningful to share will prevail, but only with a firm commitment to high quality content, and perseverance sharing their messages. Discouraging signs may show themselves in the short-term, but blogging is not a threat to quality writing over the long haul. 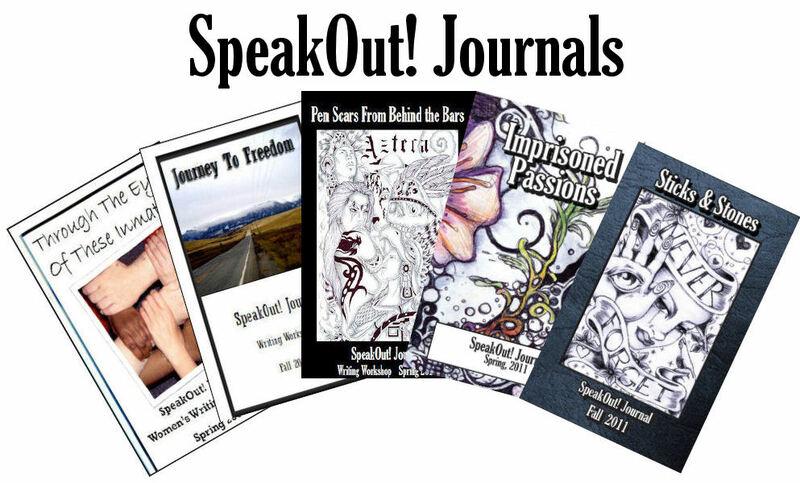 The following post is a followup to a 2010 blog found here, focusing on the efforts and success of the Speakout! adult literacy program. Those of us who have facilitated with the Colorado State University Community Literacy Center have seen the excitement when the Speakout! journals are published. It’s gratifying to pass them out to the workshop participants so they can see the fruits of their labor in print. However, we may not see what happens to the journals after they’re published. We know that they circulate around Fort Collins, the state, country, and indeed, the globe (CLC Director Tobi Jacobi brought journals with her to a conference in Prague this past year). But how are they being pedagogically employed in community literacy work? Before I came to CSU, I volunteered as an adult literacy tutor at a public library in Brooklyn, NY. The students I worked with gravitated towards community literacy publications, particularly those that showcased the voices of language-learning writers. Students checked out the books from the library after our Saturday classes and brought them home to read during the week. They often came to class on Saturday having finished an entire collection of writing, and looking for something new. Adult literacy publishing is not a lucrative field, which is why it hasn’t taken off in the U.S. This is part of why the CLC’s work in publishing a grassroots journal is so important. As a facilitator in Brooklyn, I saw firsthand how vital it is for adult literacy students to recognize themselves in their readings. The adult voices in community literacy publications resonated and thus excited students about the act of reading. This excitement led them to read consistently at home, which improved their literacy levels tremendously in between our weekly classes. When a friend started volunteering at a local literacy program in Philadelphia earlier this year, she called me and described her student—a woman who reads at a fourth-grade level and wants to try writing poetry for the first time. Unfortunately, the community literacy space where the volunteers and students meet does not have any texts available at all—let alone adult-specific texts—due to the fact that they operate out of a shared space where they cannot store materials. I sent her a copy of a recent Speakout! journal. She reports that her student was excited by the publication and took it home to read on her own the very same day. No doubt her literacy skills will benefit from reading the work of CLC workshop participants. Vani Kannan is working on her MA in Rhetoric and Composition at Colorado State University. She volunteers with CSU’s Speakout! program and has been involved in community literacy work since 2008. Recent government proposals to build large super-prisons, involving the closure of smaller local prisons like Northallerton, have chilled my heart. We all have opinions about prisons, depending on whether our views are about justice, rehabilitation, revenge, or restitution. For some people, prisons can seem hidden, secret places. But others have more personal experiences with them that may involve working in prison or having an acquaintance, friend or family member serving time inside. Some people here in the North East will be in this position – having a sister, mother, daughter or niece serving a sentence behind bars. I know this because, over several years, for two days a week, I was Writer in Residence at HMP Low Newton just outside Durham City. Inside this prison, I worked with women from County Durham, as well as women from all other parts of the country. Generally, they were ordinary people, women you might see any day in Bishop Auckland’s Newgate Street or Darlington’s Cornmill Shopping Centre. When I started being a ‘Writing Woman’, I had no idea what I was letting myself in for. 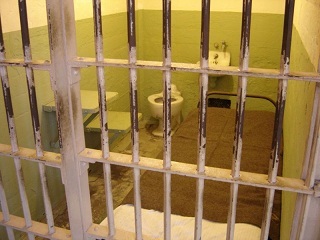 But what happened to me in prison was the most life-enhancing, the most life changing experience. Afterwards, I was a different person, a different writer. My job was to help these women of all ages to find their voice through private, written words on the page. In my time at HMP Low Newton we published two substantial collected editions of women’s writing – editions that traveled the length of the country. We wrote poems, prose fragments, short stories, plays. We had two open-to-the-public performances inside the prison, of the women’s work. We ran a parallel Litfest Inside at the time of the Durham Litfest. One woman had her story broadcast on the BBC. We had our own Orange Prize Project… and so on. We had lots of purposeful fun and rueful laughter. The women learned that ‘writing down’ was making sense of things. Writing down can give order to what might be a chaotic life. In those small workshops, we all learned a lot about ourselves. Some stories, well-formed and written down, stayed in the woman’s possession and – by their own decision – never saw the light of day because the content was too raw. These positive experiences were only possible because of my collaboration with teacher and Head of Learning and Skills, Avril Joy, (now a published writer herself), and the compassionate support of the then governor Mike Kirby, to whom my new novel Paulie’s Web is dedicated. Paulie’s Web is a novel, not a documentary account. But its true nature was inspired by hundreds and hundreds of days working shoulder to shoulder with a whole range of women who defied the reductive stereotype one finds in some fiction and dramas – even in some documentaries where the researchers clearly find the story they’re already looking for. My novel is not a case study. It is a work of fiction that tells a special truth in distilling the tragedies, comedies and ironies of five women’s lives, not just behind bars, but out in society. These women meet each other in the white van on their way to their first prison. In addition to Paulie – rebel, ex teacher and emerging writer – there is Queenie, the old bag lady who sees giants and angels, Maritza who has disguised her life-long pain with an ultra-conventional life, and serious drug addict, Lilah, who has been the apple of her mother’s eye. Then there is the tragic Christine – the one with the real scars, inside and out. In Paulie’s Web, there is the light and shade that I found in prison. Likewise there is the laughter, comradeship and tears. There is the bullying and night-time fear. There is the learning and self–revelation. The stories of these five women merge as Paulie – free now after six years – goes looking for the women she first met in the white prison van. The truth of their lives unravels as, one by one, she finds them and what they have made of their lives ‘on the out’. On the surface, this novel might seem to be a straightforward read. But as you read, you might recognize, as I did, that there, but for the grace of God, go your mother, your daughter, your sister or your friend, who have fallen seriously foul of normal expectations of how a woman should be, what a woman should do. The women I met and worked with took responsibility for what they had done and served their time. In their writing, they looked inside themselves, made some sense of their experience and looked to the future. If Paulie’s Web expresses a fraction of this truth and alters to any degree the public perception of women who end up in prison, then Paulie has done her job, and the novel will fulfil my hope that fiction will reach places where stereotyped facts will never reach. After relishing and surviving academic life, Wendy Robertson became a full time writer twenty years ago. She has written twenty novels – including the recently released “Paulie’s Web” – both historical and contemporary, many short stories and continues to write occasional articles on issues close to her heart. She was writer in residence at HMP Low Newton, encouraging a wide range of women to raise their self esteem and realize their potential through original writing. She lives among the rolling hills of South Durham, in a Victorian house that has played a role in more than one of her novels. Her blog can be found here. Can You Learn Creative Writing or Is It Only for the Naturally Gifted? For aspiring writers, the type of writing that receives a significant amount of attention is creative writing. The most obvious reason is that creativity is an art, not a science, so people who are naturally creative stand a better chance at being successful creative writers than those who think mechanically. Be aware that there’s a format and approach to any writing, but the genius is not in the approach but in the idea created. Follow these easy tips to achieve your goal of being a fantastic creative writer. It’s said that good writers are good readers. When creative writers are being exposed to another writer’s creativity and seeing how those stories translate, they’re able to learn techniques and develop skills. 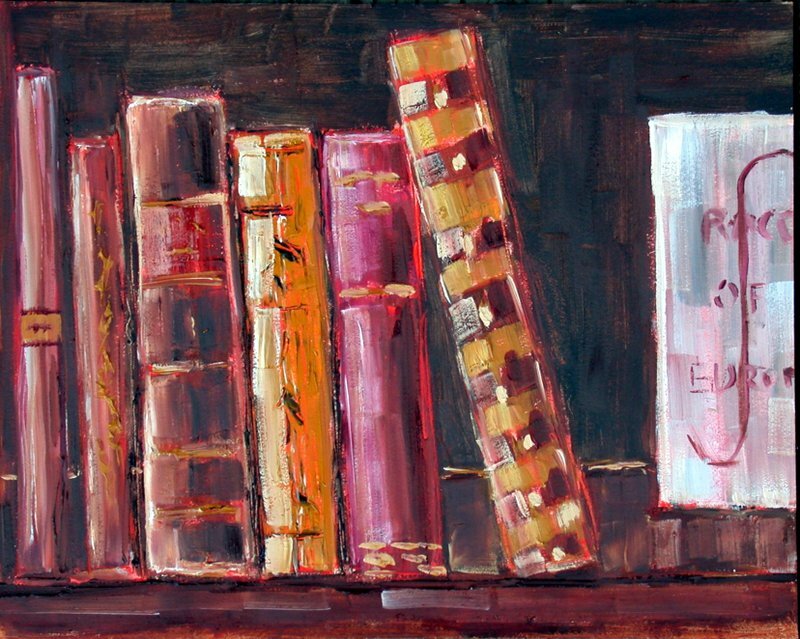 Expose yourself to a variety of ideas by reading all genres and all types of stories. This includes fiction, non-fiction, and even poetry. The goal here is to expose yourself to as many different ideas as possible so you can find something you may not have thought of previously. Write down (or record) your thoughts and ideas in a written or audio journal to go back and review later. When you get into this habit, you’ll find that there are things that don’t make sense when you first write them down but will fit together later when you are connecting the dots. A wordsmith is simply someone who knows how to use words, either in speaking or writing, though generally the context is writing. For any writer, but especially for a creative writer, the goal is to use the right words in the right order, something that is a matter of both style and personal creativity. This is one dimension of writing that cannot be taught because it is intuitive. But keep in mind that there is a discipline to using your intuition since not all good ideas translate into successful writing. Everyone has witnessed a bad TV episode, movie, or theatrical play. While it’s true that sometimes the acting may be terrible, the lines that they read originate from someone who wrote them. If you have a creative idea but it’s a bad one, be honest with yourself and simply reject it and move on. Over time you’ll learn the difference between good and bad creative ideas and then be able to work with the good ideas to produce writing you’ll enjoy. Watch a show you love and think about the writing. Find what lines you enjoy the most and listen for striking stories you may have missed otherwise. Creative writing is one piece art and another formal structure. Structure can be taught, but creativity must be allowed to grow in order to see the results you wish. Both creativity and structure need to be developed through experience. It’s unlikely that your first story will be your greatest achievement, so be patient with yourself and let the creativity flow. Selena Marimba is a journalist who writes about all aspect of education. Her recent work is on her plans to earn an MAT degree. It is amazing how much writing can help somebody to unlock their potential and turn their life around. All some people need is an outlet for their creativity in order to get onto the right track. One of the best examples of this is a friend who I shall refer to as “Stevie.” When we were growing up, Stevie was a pleasant, happy kid. He was nice and polite to everyone and never put a foot out of place. Nobody would ever have expected that he would become a criminal in later life. Stevie continued to be personable and affable into his late teens. When he was eighteen, he learned to drive and we would cruise about together, enjoying the excitement that was to be gained from having a set of wheels at our disposal. He was a typical adolescent driver, honking at girls and turning his speaker system up to full volume. However, as is the case with many younger drivers, Stevie’s lack of experience soon led to an accident. He hit the back of a truck one day and went straight through the front windscreen, leaving him with significant scarring on his face. The injuries that Stevie sustained were not life threatening but damaged his self-confidence. He developed a condition known as social anxiety disorder, which is characterized by fear of social situations. The Stevie that I once knew was now a thing of the past. He spent most of his time indoors and struggled even to talk to his closest friends, stuttering and stammering his words and obviously struggling. The accident had stripped him of his ability to socialize. Stevie’s condition left him feeling useless. He completed a university degree but felt that inability to muster up the courage to speak during job interviews would prevent him from ever finding meaningful employment—so he embarked upon a life of crime instead. He started off selling marijuana and soon progressed to cocaine, using his newfound edginess as a mask for his anxiety. Stevie was still just as scared of meeting people as ever but covered it up with fake aggression and attempted to be somebody that he was not. When he was twenty-three, Stevie sold drugs to an undercover police officer and received a prison sentence. Stevie expected his time inside prison to be a living hell, but it was in there that he discovered that he had a talent. In order to pass the time behind his cell door, he would write about his experiences and soon realized that he had a gift. Everybody he showed his writing to remarked upon how well he captured the details of prison. He soon had prisoners approaching him to help them put their lives into words. Stevie left prison knowing exactly what he wanted to do with his life. He was still very socially phobic despite having been locked up with other people 24/7, but decided that it was not going to hold him back from making something of himself. He set out to become a writer. He sent articles to magazines and newspapers and soon had regular slots in several publications. Nowadays he makes a living from his work. Although he is yet to cure himself of his condition, he no longer needs to rely upon crime for his income. He is now a full-time freelance writer. Although he committed immoral acts in the past, Stevie is by no means a bad person. He is somebody who made mistakes and allowed the trials and tribulations that cropped up in his life to drive him to partake in illegal activity. Writing was his savior. It not only provided him with a living but also gave him an outlet to express his feelings so that he did not keep them bottled up and grow depressed about them. His story is a testament to the rehabilitative powers of putting pen to paper. By tapping into people’s talent for the written word, we can unleash their true potential and help then to become valuable members of society. Eve Pearce is a full-time feature writer as well as an art and photography aficionado. She has written for numerous sites on various topics over the past few years. Images provided by Eve Pearce. This is Katie Newport’s first post as web editor for Changing Lives, Changing Minds. In the year 2000, I entered my freshman year at Framingham State College; I was eager to learn, hopeful for the future, and had indiscriminately chosen a major -Communication Arts. It wasn’t long before I decided to change my path; I had fallen in love – with Art History. For the next four years, I devoured books on feminist art history, marveled over the seemingly insignificant smudges and dollops of oil paint that make up a Van Gogh, and got lost in the presence of anything from the Dutch realists. During this time, in lieu of electives, I took anything and everything that related to English literature or writing. Children’s Literature, World Literature, Myth and Folklore, Women Writers, The Classics, etc. Each of these satisfied my insatiable need for the written word, and – even more compelling – they were fun. Four years later, I had taken so many of these elective classes that, upon graduating, I was awarded a degree in Art History and English; my reading and writing habits had become functional, and permanent, fixtures. Over time, it became increasingly obvious that writing was, in fact, my calling. And though I still lose my breath at the sight of a Dutch memento mori, I know that Art History is the hobby, not Literature. As my graduate career in the Professional Writing program draws to a close this semester, and as I accept this position as Web Editor for Changing Lives, Changing Minds, I cannot help but reflect on the role that literature has played in my life up until this point. I cannot help but wonder where I would be without my shelves, stocked with dog-eared favorites and stiffly bound not-yet-read books? Who would I have become if not for the likes of Judy Blume at age thirteen, Jane Austen at sixteen, F. Scott Fitzgerald at seventeen, and Steinbeck at nineteen? Their voices and their words changed mine. Similarly so, the Changing Lives Through Literature program transforms reading from a passive, solitary practice to an active, participatory endeavor – one that engages and expands upon an individual’s experience or existence, creating opportunities for growth and change. The reflection of one’s self in the pages of classic literature is a striking thing; it is a moment that is both humbling and grandiose, and ultimately hard to forget. It is a moment that can strike you much like looking closely, and intensely, at a painting. In my undergraduate Art History classes, we’d begin to discuss a piece by looking at it in full view, displayed up on the projector screen. Then, the slide would change, and we would visually dissect detailed photographs. As a class, we would discuss each nuance, color choice, brush selection, and medium variation. After a while, it became harder to see the piece as a whole, and instead we saw it as a marriage of thousands of distinct, deliberate choices, all of which were made by one person, in one moment, for one end. This exercise in intimacy compels a relationship between the piece and the audience, much like close reading and literary analysis. I am very excited about the upcoming months here at Changing Lives, Changing Minds, and look forward to being a contributor and facilitator of discussion, and more so, an audience to our essayists.